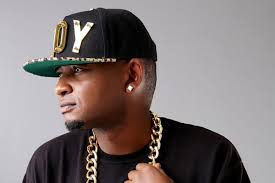 Just after enduring a heated exchange between Nyota Ndogo and rapper Colonel Mustafa, Another group of artistes have come out to blast the ‘Dodoma Singida’ singer for breaking the unity of coastal artists. 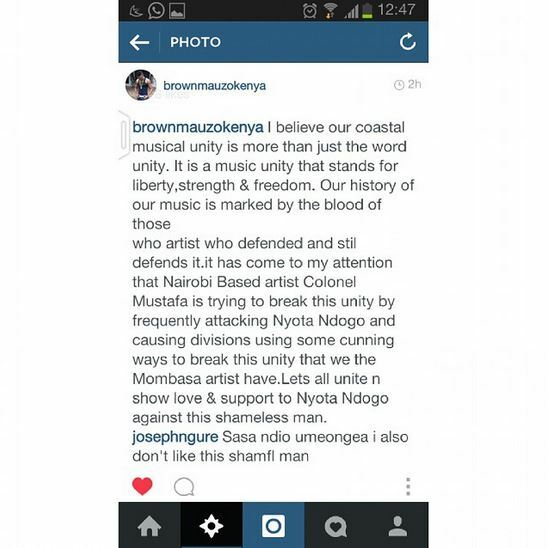 According to a Mombasa lobby group led by singers Hassan Faisal Mufti and Brown Mauzo, controversial Mustafa has been trying to break the unity of coastal based artists by frequently attacking Mombasa bound Nyota Ndogo. Typical of Mustafa, he was always going to hit back.